Coventry & Warwickshire Local Enterprise Partnership are holding the largest careers fair in the area. 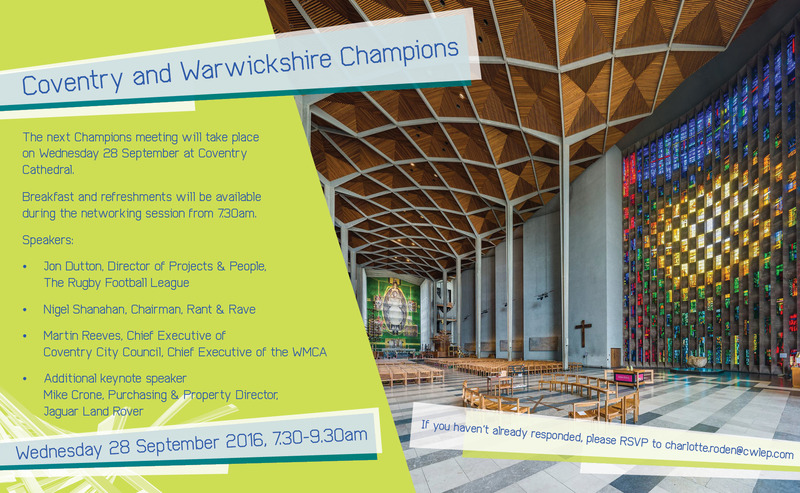 Coventry & Warwickshire Champions are holding their next meeting on Friday 10th February at The Studio, 7 Cannon Street, Birmingham, B2 5EP. Do you want to win £1000? The City of Coventry Freemen’s Guild has great pleasure in announcing that once again it is looking for outstanding young people to honour in its’ Apprentice of the Year Awards 2016. 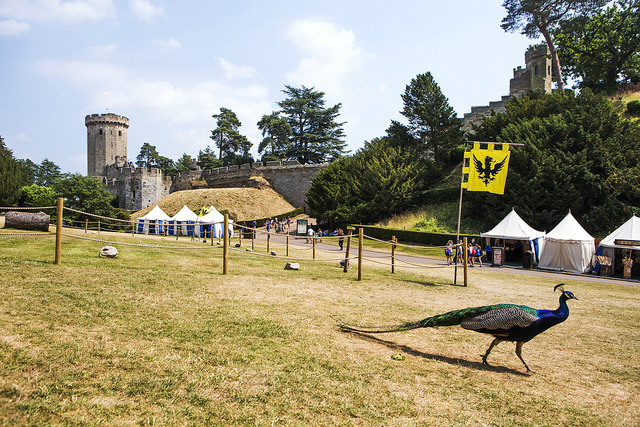 Warwick Castle have kindly offered Champions* the opportunity for up to 10 members to discover their unique venue this Christmas. 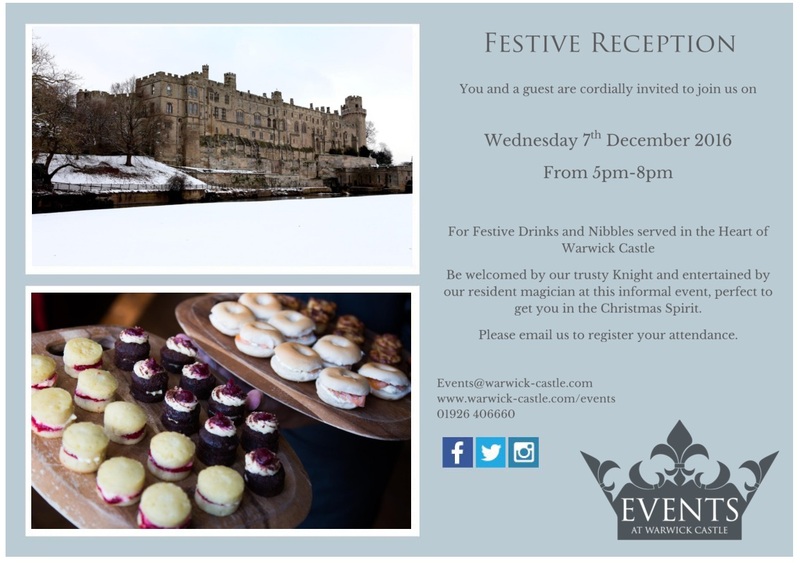 This informal reception will be held in the Great Hall from 5pm-8pm on Wednesday 7th December. With the festive season just around the corner, Severn Trent Water is running an Auction of Promises to raise money for our corporate charity WaterAid. November's Coventry & Warwickshire Champions meeting took place at Warwick Racecourse on Wednesday 23rd. Refreshments were served during the networking session from 7.30am. 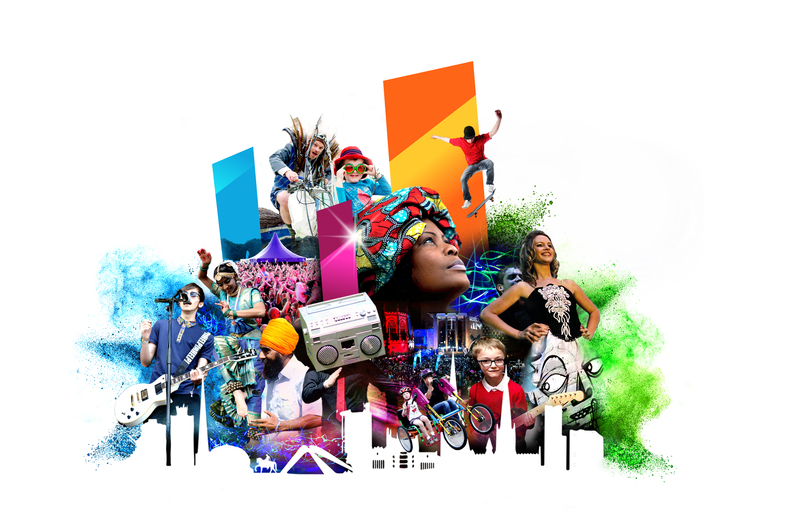 Coventry (& Warwickshire) City of Culture Bid Team & Trust are holding a Birmingham Business Launch event at Birmingham Hippodrome on Monday 21 November. Focusing on the UK property industry, MIPIM UK is the UK’s largest exhibition and conference for property professionals. It provides a marketplace for industry players and international investors to meet, discuss projects and opportunities, and do business. Originally founded as a networking club for HR professionals in 1978 and called South Warwickshire Personnel and Training Group, this has now evolved into the Talent and People Alliance.